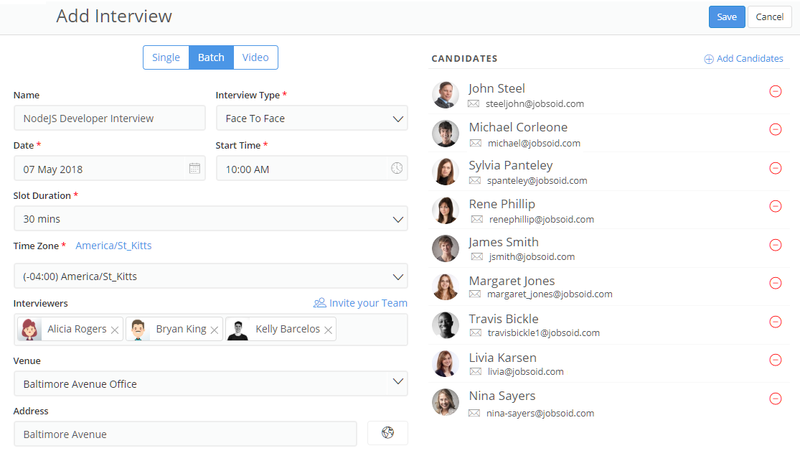 Jobsoid allows you to schedule interviews for multiple candidates at a time with the help of Batch interviews. Batch interviews will save a lot of your recruiting time. In addition to this, you can create time slots according to the availability of your interviewing team. Your candidates can then choose a slot that is convenient for them and confirm their interview. You can create any number of interview slots according to the availability of your interviewing team. 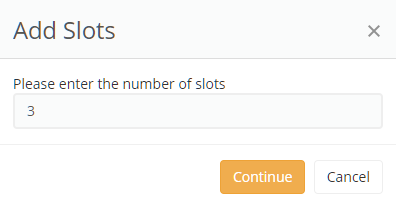 Alternately, you can also create slots by simply double-clicking on the slots section. You can move a slot to another time duration by dragging it to the desired time. Deleting a slot is also possible. Hover on the desired slot and click on the delete icon. A message asking you whether you want to delete the event will be shown. Click on Delete button to confirm the deletion. 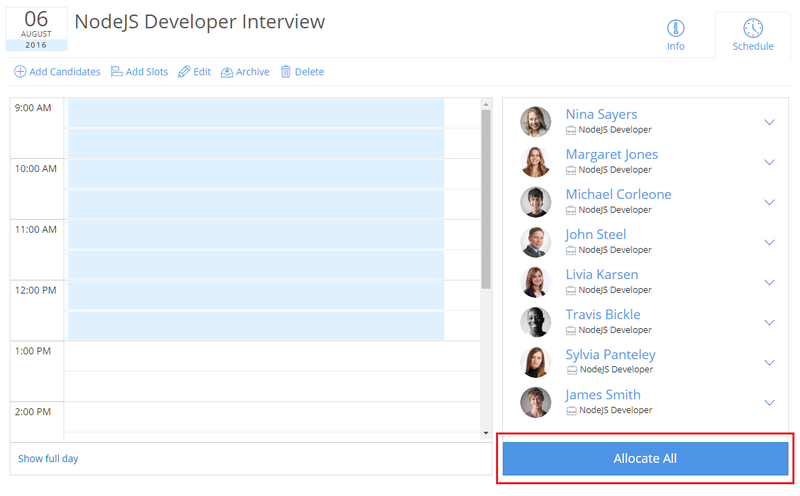 Note that you can also schedule interviews from the Candidates tab on the Job Details page.